Earthquake Prediction: NEW ZEALAND DOUBLE TODAY! 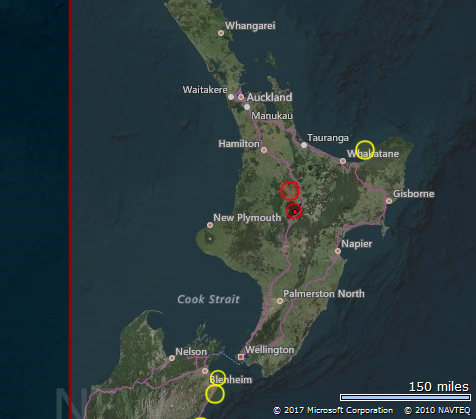 A double earthquake this morning in New Zealand North Island, as can be seen from the details below, 13 km from Turangi. The events were 3hrs and 30 minutes apart.